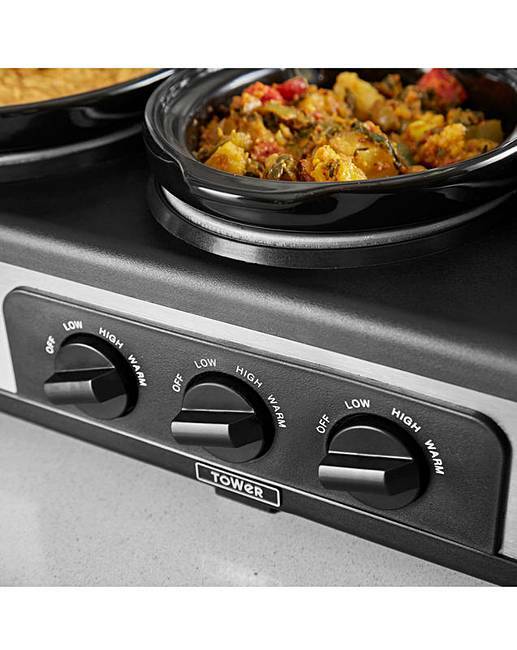 Tower Slow Cooker Entertainment Unit is rated 5.0 out of 5 by 1. 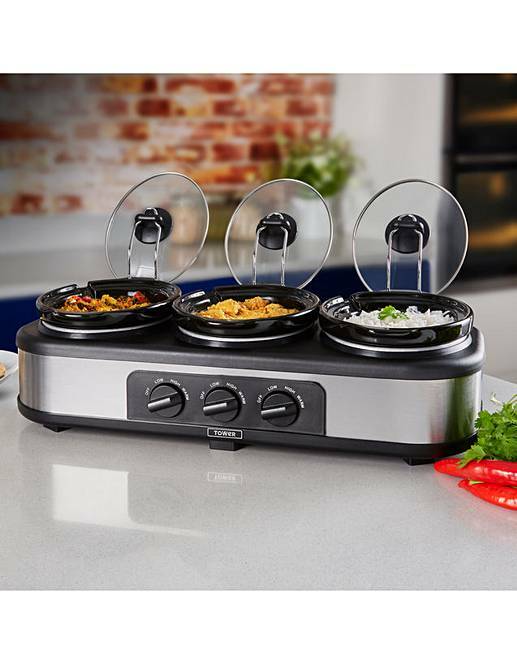 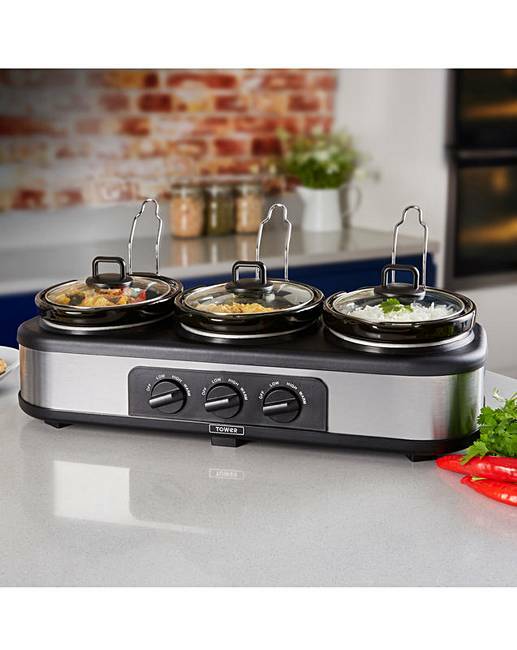 The Tower 3 x 1.5 Litre Slow Cooker Entertainment Unit ensures hosting a party with ease, cooking a selection of slow-cooked dishes in one sitting. 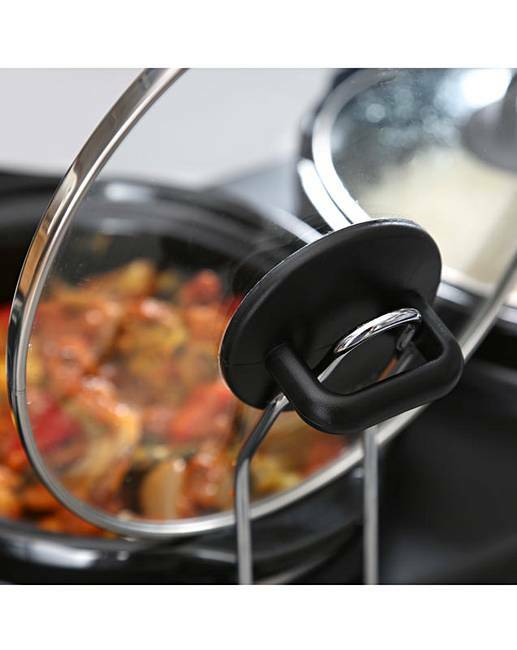 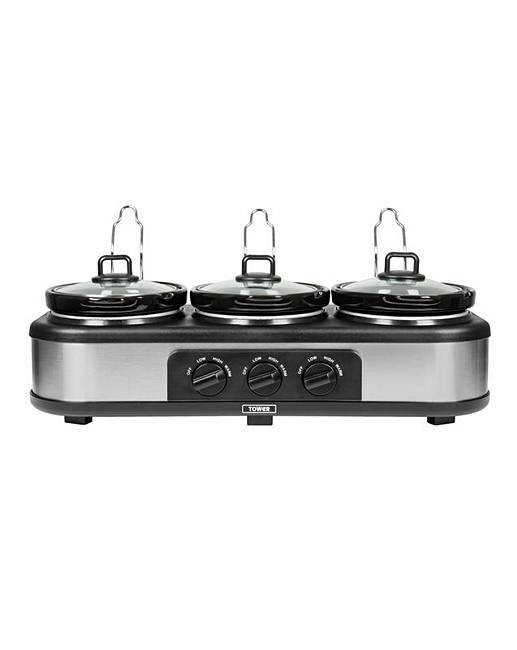 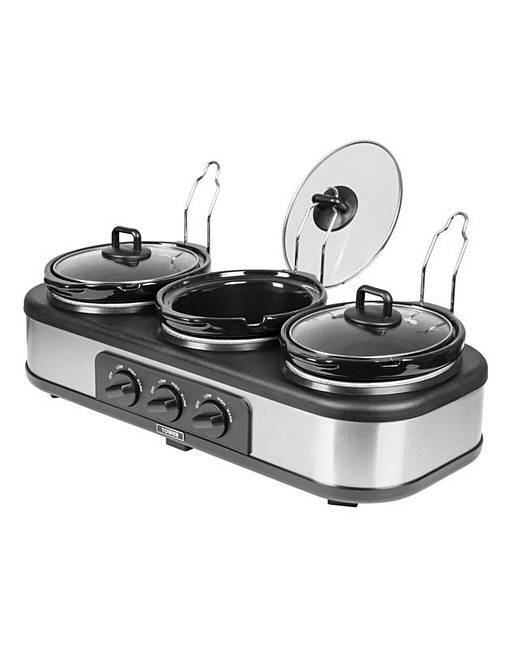 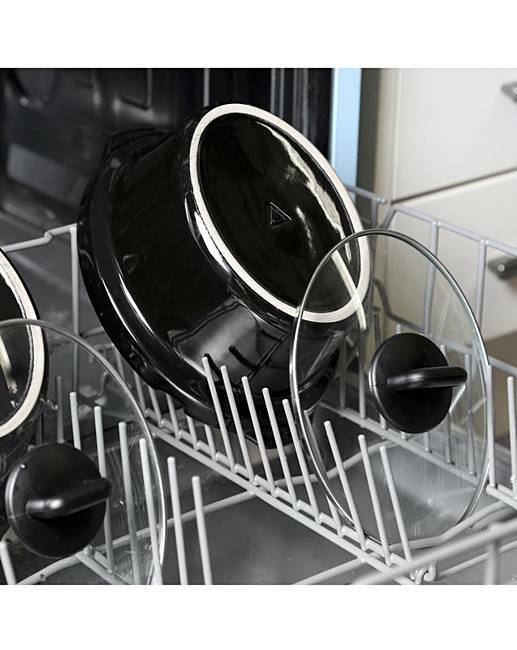 Boasting three separate 1.5 litre cooking pots, individual temperature controls with 3 heat settings for each dish, keep warm function, tempered glass lids with cool touch handles, and lid rests for easy serving.